For several seasons we’ve been advising women who want the ideal all-purpose ski to focus their search on the category we call All-Mountain East (AME). It’s time we applied the same advice to men. Here’s why. Skis in the AME genre measure between 85mm and 94mm at the waist. This unifying trait aside, the cast of characters in the AME bundle could not be more diverse. If one stands back and takes in the full spectrum of the Alpine ski market, the models populating either end – Powder and Non-FIS Race – have the most homogenous make-up. (Put another way, all Powder skis are more alike one another than they are different from one another.) With each step towards the middle, the categories’ composition fragments into different families, finally arriving in the center category, All-Mountain East. The AME collection is a polyglot lot because it represents the crossroads where the fattest carvers and the skinniest off-trail boards collide. Its multi-personality nature makes AME home to the most versatile skis extant. I’ve been directing women to the top models in the AME category for years; this year, the quality quotient among unisex AME skis is so high and the range of application (read, snow conditions) so broad, it’s become almost automatic to recommend them for men, too. The All-Mountain East collection is a crossroads category where all design archetypes co-mingle. The fact that I find myself recommending AME models to a wider range of subscribers is just another indication of the genre’s ever-increasing importance. It’s hard to have an exchange of emails that doesn’t reference the Head Kore 93 and/or the Nordica Enforcer 93, to name two models that are frequently mentioned. If one word could describe why the narrower family of all-mountain skis makes a better match for most skiers, that word would be “moguls.” It’s not that bumps are on top of every skier’s list of preferred terrain – far from it – but all-terrain skiers know that they will inevitably intrude on most ski days. The problem is, bumps are easier to ski on a slender platform, while powder – the condition the all-terrain skier prizes above all – is made infinitely easier by adding surface area. 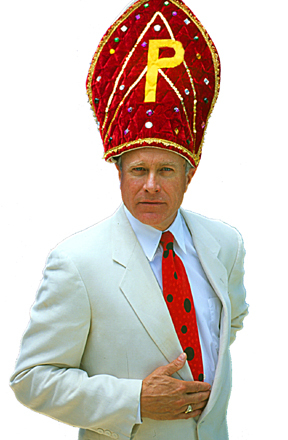 When mastery of both moguls and powder is on a skier’s wish list, the AME class naturally gravitates to the head of the class of candidates. As the popularity of AME models has swelled, the battle for sales supremacy has compelled every supplier to apply its best technology to the genre. Major suppliers often have two of their best models headlining the category, along with a value proposition with an on-piste tilt to its tastes. No other genre offers as many choices, all of which seek to serve as a one-quiver. While every AME model lays claim to all-terrain chops, how each model goes about it can be night and day. For example, the Kästle MX89, our top-rated Power ski for men, is geared high and would rather detonate 8 inches of fresh than skim over it; the Line Supernatural 92, in contrast, bows under neck-rein pressure and sees no shame in smearing. Elan’s Amphibio 88 XTi comes from Technical bloodlines, so it can’t help but carve, while Blizzard’s top two entries, the Rustler 9 and Brahma, both descend from Big Mountain ancestry, where smear tactics are the norm. The women’s substantial slice of the AME market is so stacked with talent, top to bottom, that it can serve first-time ski buyers well and advanced skiers superbly. While the profile of the group as a whole tilts towards off-trail proficiency, there are still plenty of options with legit carving capability. The sustained success of Blizzard’s Black Pearl 88 helped make the women’s AME genre the primary battleground for sales supremacy as competitors vie to be part of the discussion. As is the case with the unisex world, the women’s menu of sensations runs the gamut from gentle and surfy (e.g., Liberty Genesis 90) to crud-crunching weaponry (exemplified by the new Volkl Secret). 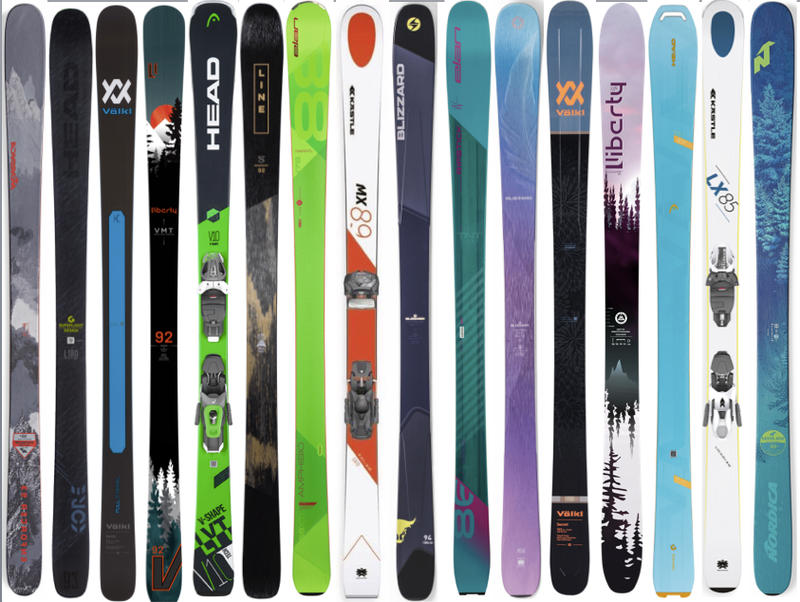 To someone who hasn’t shopped for skis in over a decade, the plethora of choices confronting the consumer can be daunting. To thin the herd to a manageable number, narrow your search down to the supremely versatile All-Mountain East genre. It’s the best place to find your next ski.